Our nation currently faces serious problems as the result of the large number of people who have become addicted to opioid painkillers. Among those who are currently struggling with addiction problems are senior citizens, many of whom are on Medicare. In addition to opioid addiction, the elderly may also struggle with other substance abuse problems, including alcoholism. While it may be difficult to admit you have a problem with substance abuse, addiction or alcoholism, getting help for these issues can save your life. Today in America there is a growing struggle with opioid abuse among senior citizens. Opioid drugs are commonly prescribed to seniors for chronic pain and it is all too easy to get hooked because of the addictive nature of these medications. Overcoming any drug addiction can be a lengthy process and a costly one as well. For many years, health insurance in general did not provide mental health coverage which was on par with other medical coverage. The passage of the Affordable Care Act in 2010 changed this for the better. Today it is mandated that treatment for mental health and substance abuse disorders be the same as any other form of medical treatment. This kind of parity for people under age 65 has been welcome news for both addicts and treatment providers alike. As people age into Medicare, they often have concerns about their upcoming coverage. Will they still be able to obtain good access to care for mental health and substance abuse once they enroll on Medicare? Here’s a quick rundown on how Medicare provides benefits and treatment for substance abuse. Medicare is our nation’s healthcare program for people aged 65 and older. It also covers people under age 65 with certain disabilities or health conditions. Medicare benefits are modeled after the old Blue Cross and Blue Shield style of coverage, with hospital and outpatient medical benefits falling into two separate parts. Medicare Part A pays for your inpatient hospital coverage. If you have a stay in the hospital, it will provide you with a semi-private room and three meals per day. Part A also covers blood transfusions, care received in a short-term skilled nursing facility and hospice benefits for the terminally ill.
For individuals obtaining substance abuse care or mental healthcare, Part A provides a lifetime benefit of up to 190 days in a specialty psychiatric facility. The patient or Medicare beneficiary is responsible to pay their own Part A deductible, which in 2018 is $1340 per benefit period. When you enter a hospital, you start a benefit period with Day 1. When you leave the hospital, you must be out for 60 days to reset that. If you re-enter the hospital before 60 days are up, you continue with the original benefit period. This provides the first 60 days of care in an inpatient facility. Thereafter, the patient begins paying a daily hospital copay which becomes larger over time. If the beneficiary leaves inpatient care and remains outside of the hospital for 60 days or more, the benefit period closes. When the patient re-enters the hospital, a new benefit period will begin. Every person has their own journey with substance abuse care. It is possible that some beneficiaries may need more care than the lifetime limit allows. In that scenario, Medicare may offer some additional coverage if those services are provided in a regular hospital. 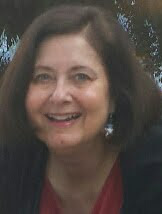 Sometimes Medicare will cover treatment for substance abuse in a partial hospitalization program. This would occur if your physician certifies that you would benefit from 20 or more hours of therapeutic services each week. Your Medicare doctor must put together and submit an individualized care plan for you which will be under his supervision. He must also re-certify you for the program on a regular basis so that Medicare will keep paying for that care. Medicare Part B provides outpatient medical care. This includes ordinary outpatient services like consultations with your doctor and lab-testing and preventive care, as well as more expensive procedures like surgeries. However, it also provides for substance abuse counseling, psychotherapy in an outpatient clinic, screenings for drug or alcohol addiction and drugs like methadone which are administered in a clinical setting. Part B will also cover Structured Assessment and Brief Intervention, if services are provided by a Medicare doctor or outpatient hospital. If a person shows signs of substance abuse, this treatment includes screening to determine the appropriate level of care, a brief intervention to encourage the patient to make changes, and a referral to access specialty care if necessary. Just like Part A, Part B has cost-sharing which you are responsible for when you are using these services. You will owe an annual deductible upon your first Part B service of the year. After that, your benefits will pay for 80% of all Part B services, while you pay the other 20%. There is no cap on out-of-pocket maximum to this 20%, so you will continue to owe this for each service unless you have other supplemental coverage. For over four decades, Medicare beneficiaries had no access to suitable outpatient drug coverage. They would often be faced with paying full price for medications, and sometimes they would have to decide between food or medications. Fortunately, this problem was solved with the Medicare Modernization Act of 2003, which created the Medicare Part D program. In May of 2006, all current beneficiaries were given an opportunity to enroll, and now new beneficiaries are also given an initial enrollment period when they age into Medicare to sign up for drug coverage. Medicare Part D is optional. You are not required to enroll. Congress made the coverage voluntary because some people have access to drug coverage already. 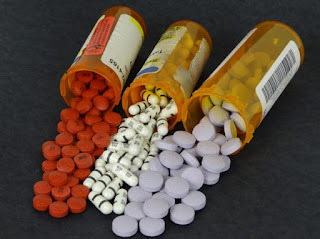 For example, some veterans can get their medications at the VA clinic, so they may decide not to enroll in Part D. However, if you do not have access to other creditable coverage for prescription drugs, it is important to enroll when you are first eligible or else you may be subject to a late enrollment penalty. Plans are provided by private insurance carriers in each state, and this coverage is important in helping beneficiaries pay for medications which may help treat substance abuse disorders. All plans have minimum coverage rules. 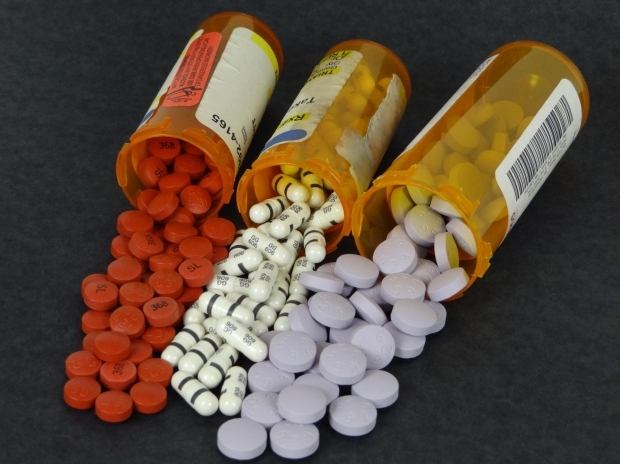 For example, drug formularies must include antidepressants and antipsychotic drugs, as well as drugs which are considered medically necessary to treat substance abuse. Beyond those minimum coverage rules, though, each carrier develops its own formulary of covered medications. Beneficiaries should carefully review a plan’s drug formulary before enrolling to confirm that their necessary medications are included. While everyone would like it if Medicare covered 100% of medical expenses, it doesn’t work that way. In fact, Medicare is very similar to other health insurance in that it covers a share, and the member is also responsible for a share in their own medical costs. Beneficiaries must pay for their own deductibles, copays and coinsurance. To plan ahead for these expenses, beneficiaries can purchase supplemental coverage. There are traditional Medigap plans available in all 50 states and in most areas, there are also Medicare Advantage plan choices. Medigap plans can be purchased from private insurance companies, and the plans' designs are standardized by the government. There are several standardized plans to choose from and these each cover a certain set of benefits. Although 10 plans are outlined, a few plans have become more popular than others. The most comprehensive plans are Medigap Plan F and Plan G. These plans cover most of the gaps and leave very little for you to pay out-of-pocket. Some people prefer plans with lower premiums where they pay more of their own cost-sharing. Plan K and Plan N are popular choices for that. Aside from Medigap plans, the other type of coverage available is Medicare Advantage. In this type of coverage, you choose to get your benefits from a private insurance company instead of from Original Medicare. In some areas, there are Medicare Advantage plans called Special Needs Plans which are created specifically for people with chronic diseases, and this may include mental health or substance abuse disorders. When enrolling in a Medicare Advantage plan, you will agree to see the plan’s network of doctors for your care, so if you are seeing a psychologist or psychiatrist for substance abuse counseling, you will want to make sure that he or she is in the plan’s network. Premiums are usually lower with a Medicare Advantage plan than for a Medigap plan, but you will pay copays for your medical care as you go. All Medicare Advantage plans must cover the same services that Part A and B cover, so if you enroll in one, you will have access to substance abuse benefits through your plan. Just consult the plan’s Summary of Benefits to see what your cost-sharing is for counseling and other benefits. If you are interested in learning more about common medical issues as you age, Medicare, Social Security, financial planning, where to retire and more, use the tabs or pull down menu at the top of the page to find links to hundreds of additional articles. Thank you for once again reaching out to the experts to keeps up to date on what's happening with the Boomer population and where to get help.